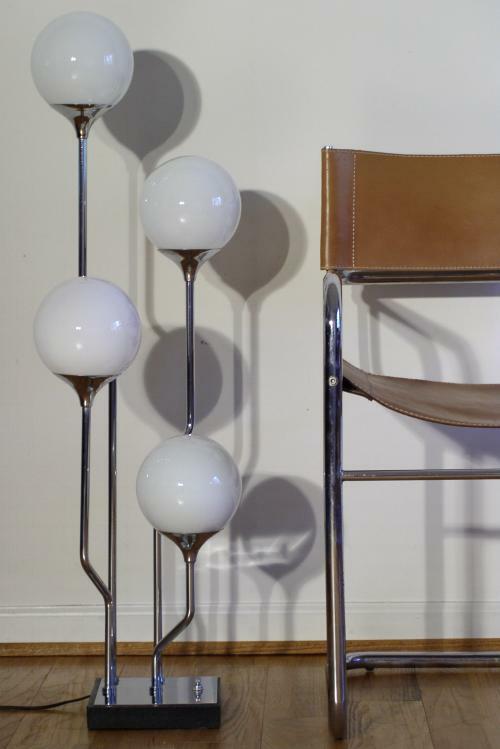 Vintage chrome lamp modeled after a late 1950s Reggiani designed lamp (see archives). Cast iron base identifies this one to be by "Clover Lamps". Four milk glass globe shades. Takes full size bulbs in high quality ceramic bulb holders. Four way switch allowing 4 lighting combinations including all ON and all OFF.